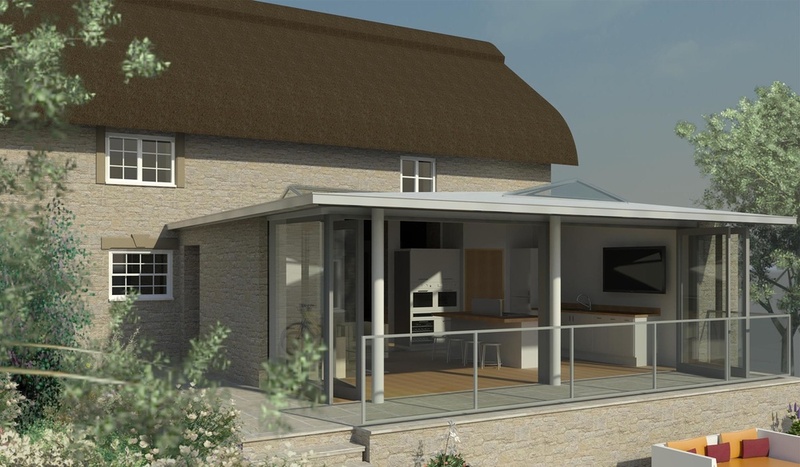 Our contemporary addition to a Grade II listed cottage. 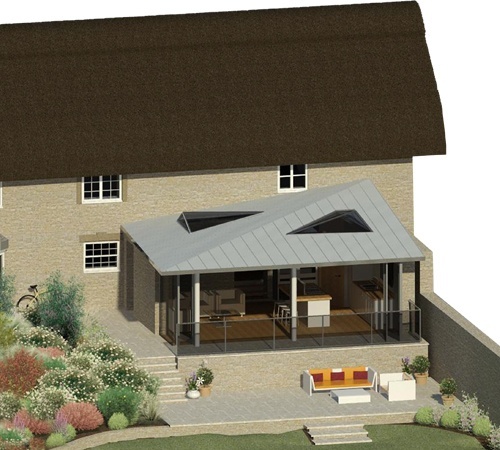 Planning permission granted in 2017 for this contemporary addition to a Grade II listed property in Oxfordshire. A standing seam zinc roof with local stone to some ground floor walls. Full height and full width sliding/folding glass doors under a projecting roof design ensure there is a close relationship between inside and outside space.